In the previous post, we began to lay out the highlights of the Federal Communications Commission’s recent Declaratory Ruling about the Telephone Consumer Protection Act (TCPA). The most significant change is the broadened definition of an autodialer. However, determinations about whether a device or software qualifies as an autodialer will be made on a case-by-case basis, and concerns have been raised about lack of clarity in the definition. As a result, TCPA lawsuits could be filed more frequently. Another important component of the ruling involves reassigned phone numbers. Organizations that call or text a wrong number more than once – even if the person called does not inform the caller of the error – can be found in violation of the TCPA. 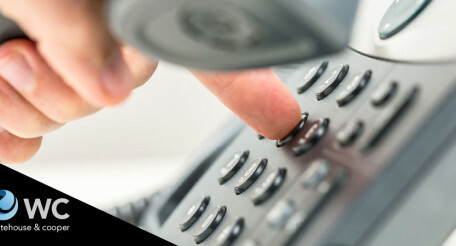 The FCC provided guidelines for identifying reassigned or changed numbers. Here are more highlights of the FCC’s recent TCPA ruling. Certain single-message, on-demand text programs don’t require consent because the consumer requested the text, although a disclosure can be voluntarily included in the call-to-action. However, for multiple-text campaigns, disclosure in the call-to-action is insufficient, so companies need to have a different way of obtaining prior consent. A double opt-in mechanism that includes a text message with disclosures and requires the consumer to confirm registration and consent may be the safest and least cumbersome approach. Many companies try to make it difficult for people to opt out of any marketing program or subscription, whether it is phone, text, email or even a magazine subscription. The new TCPA ruling drives home the point that consumers can opt-out by phone or text, or by simply walking into a company’s location and saying that consent is revoked. The ability to orally opt out of a phone or text program campaign companies should revisit their employee training programs and company policies. Customer interactions should be closely monitored and recorded when possible to ensure compliance. Companies that develop and manage mobile applications that are used to send texts or place calls are not in violation of the TCPA, under certain circumstances, as long as they didn’t initiate the text or call. Of course, an app developer or service provider could be in trouble if they offer a tool with the knowledge that their client will use it unlawfully, or if the provider willfully enables their client to do so. This is another murky area that companies need to carefully consider when choosing applications and services. The Direct Marketing Association and Coalition of Mobile Engagement Providers petitioned the FCC, claiming that consumer consent obtained before the 2013 prior-express-written-consent rule was still valid. The FCC determine that there was too much confusion surrounding this issue and clarified that “telemarketers should not rely on a consumer’s written consent obtained before the current rule took effect if that consent does not satisfy the current rule.” In other words, consent obtained before October 16, 2013, that is not compliant with current requirements is no longer valid. A lack of clarity in previous orders is no longer an excuse. The Declaratory Ruling about the TCPA is in effect. Several trade associations have already filed lawsuits to challenge the ruling, but unless and until the rules are changed, businesses must comply. Any company that conducts telemarketing campaigns via phone or text message should consider having their company policies, training programs and vendor agreements reviewed by an attorney.